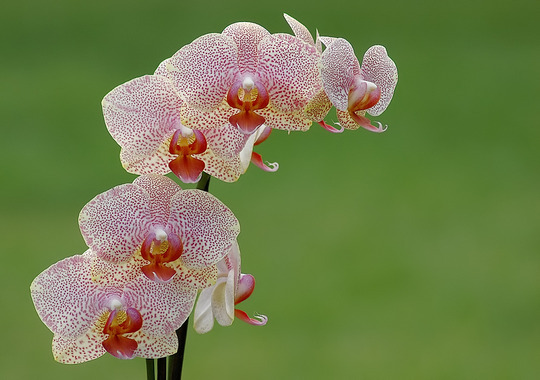 I have two phalenopsis...one is creamy white the other pink...really like the stippled petals. It's so lovely I could eat it! I like the spotty ones but they aren't often on sale. what camera are you using Rachel? Look at all those spots. It's beautiful.